My son and I attended the Project World School Summit in Merida, Mexico this year. Before the summit, we had the opportunity to experience the warmth and beauty of Mexican culture and to learn more about the Mayan Civilization. The summit could provide an opportunity for us to connect with people from around the globe who love to learn and live through travel. Wow! We went to the summit and had a blast! We felt joy to be a part of a growing community gracefully led by Lainie and Miro. The families who attended were kind, friendly and excited to be at the summit. We explored the culturally rich city of Merida, attended sessions, made friends, had many conversations, went to museums, visited ruins, went to house gatherings, and became part of a community that we look forward to reconnecting with. First and importantly was finding our footing and immersing ourselves to the place and culture of where we stood… Mexico. We visited Mayan ruins like Uxmal and saw how incredibly this civilization was able to and continues to be connected to the universe. In addition to archeological sites, we went deep into an underground cenote and felt earth’s energy. The natural wonders of the Yucatan are amazing. This prepared us for the energy of the summit. The opening ceremony was filled with great energy from the world schooling community. We felt comfortable gaining knowledge, sharing wisdom and just hanging out with these awesome families. The first session I attended titled Developing a World Schooler’s Mindset, where Lainie created an ice breaker atmosphere where we explored topics like trust, fear, attachment and worldviews. The next session by the insightful Jen Silver called Creating a Community When Traveling further facilitated an authentic connection at the summit and offered a reminder that it is possible to create connection wherever you go! Thus, we walked into the week with open hearts and curious minds. There were many highlights at the summit. I loved seeing my son enjoy the summit. He attended Miro’s session No, I’m not on Vacation and the Teen Panel and he was inspired! He made friends, went to teen sessions, played games, went to a wonderful talent show, learned about novel writing from Reka Kaponay and is presently reading her novel Dawn of The Guardian. These are experiences that filled his soul and he looks forward to staying connected to his world schooling friends! There were many other great sessions like starting your own business and Lainie’s World Schoolers Mindset Part II which was a great way to wind down and discuss the concept of expanding one’s worldviews. Revisiting and expanding our worldviews is what I imagined for our family. We had conversations about the wisdom worldviews offers. When traveling, it’s important for our family to navigate in a thoughtful manner and thankful for the cultures we visit and be sensitive to these cultures. Traveling and the gift to learn from other cultures is invaluable, so grateful that Lainie discussed worldviews and how they help us learn from the world around us. The closing ceremony was thoughtful and sad to say bye to friends! As we parted ways, our hearts were full with the experiences we had. Thank you to Lainie and Miro, and all the volunteers! 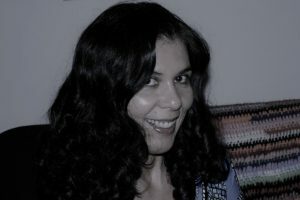 Gabriela Stiles is a writer and educational facilitator in Long Beach, California. With over twenty-five years in the field of education, she presently enjoys serving families in the home schooling environment. Having traveled to many faraway lands, she looks forward to adventures in world schooling with her son.